Stop by and check out our new selections! You might be going to a regularly-scheduled eye exam. You may be following a recommendation to see an eye doctor after a vision screening at a local clinic or wellness center. 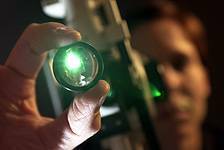 Or your next eye doctor visit could be a response to vision problems or eye discomfort. In addition, you’ll undergo a series of vision and eye tests that help determine the overall health and quality of your vision. These tests also help to check that your current prescription glasses or contacts (if you have one) is still meeting your vision needs. Your eye doctor will also check your eyes for signs of any potential vision problems or eye diseases. In many instances, your pupil may be dilated (opened) using special drops so that your eye doctor can better see the structures of the eye. Please call the office if its an ocular emergency during business hours. After business hours, please go to the nearest hospital.